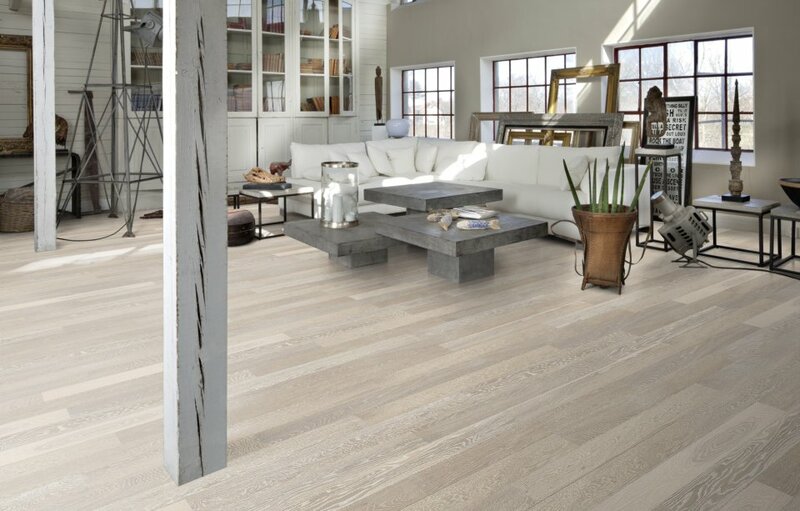 Starting with the highly gloss Shine Collection of Ash, Beech and Oak floors, each one of them stained and finished in a unique way, the Supreme line of Kahrs engineered floors, continues with four more floors in the Grande Collection, all 3/4" thick, sandable at least three times, just like a regular hardwood floor and beautifully stained, and ends with the Elegance Collection, two oak pattern floors, something very rare in the engineered floor world. Who Are the Kahrs Supreme Floors For? Do you want the best of the best in everything you buy? 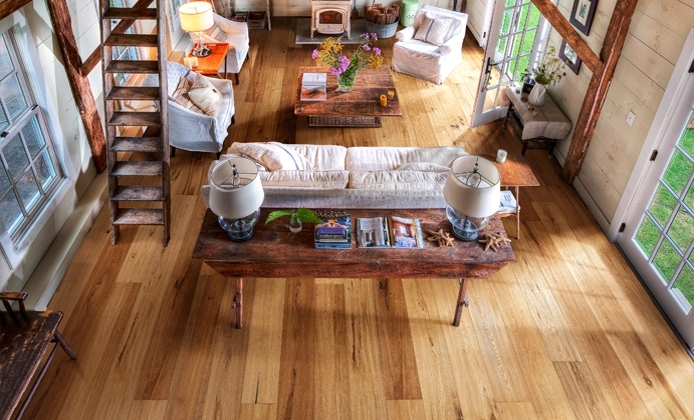 Do you want a wood floor that everyone wants but only few can afford? 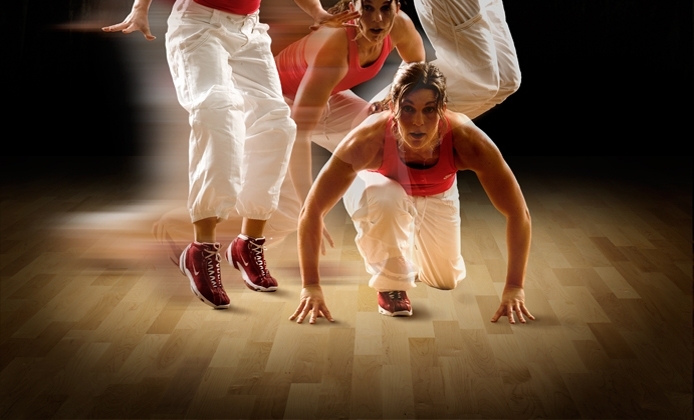 Do you want floating floors that last? 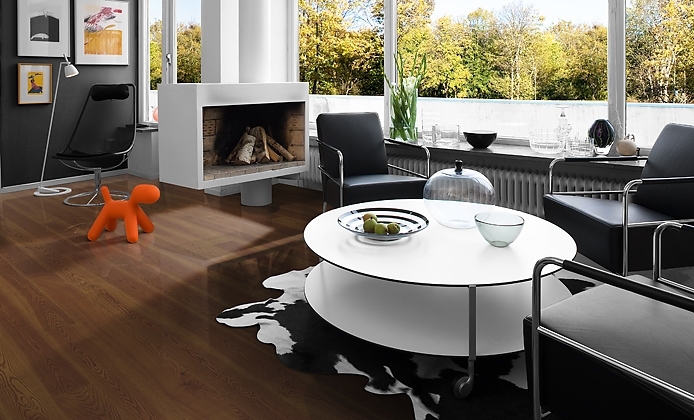 Do you want a floor that is elegant, exquisite and unique? Do you need floating floors that are sound proofed and can be easily installed in condominiums? 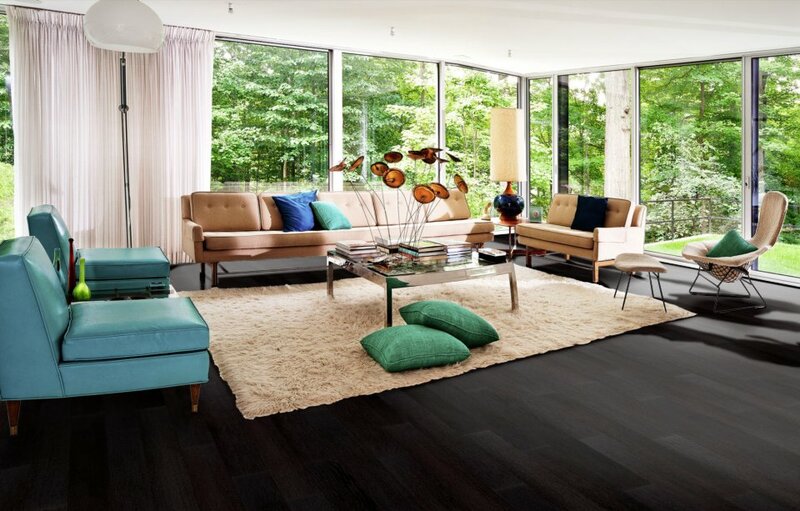 If you answered yes to one or more of the questions above, you are very likely to find the wood floor of your dreams by browsing through Kahrs Kahrs Supreme Flooring Collection. 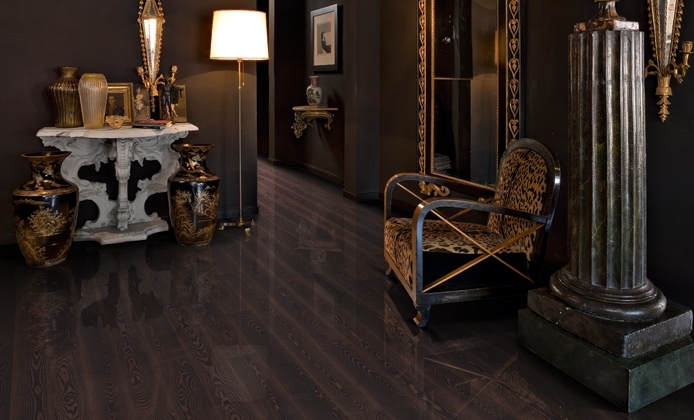 Kahrs Supreme Collection is the collection of floors for those of you that want uniqueness, grandeur, refinement and sophistication. 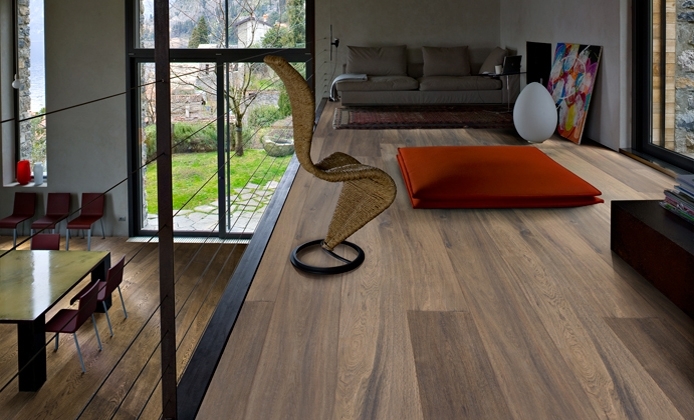 When is Kahrs Supreme Flooring not a Good Fit? 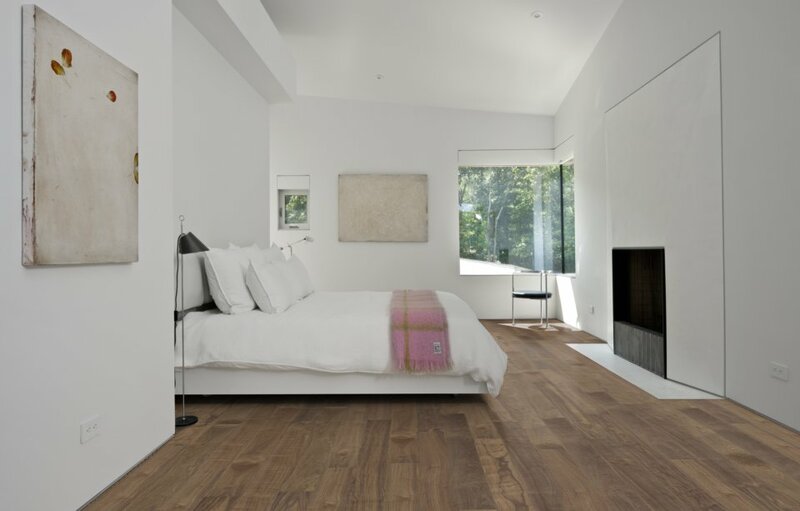 If you want an engineered floor that is beautiful and still affordable, the floors in the Supreme Collection are not the floors for you. 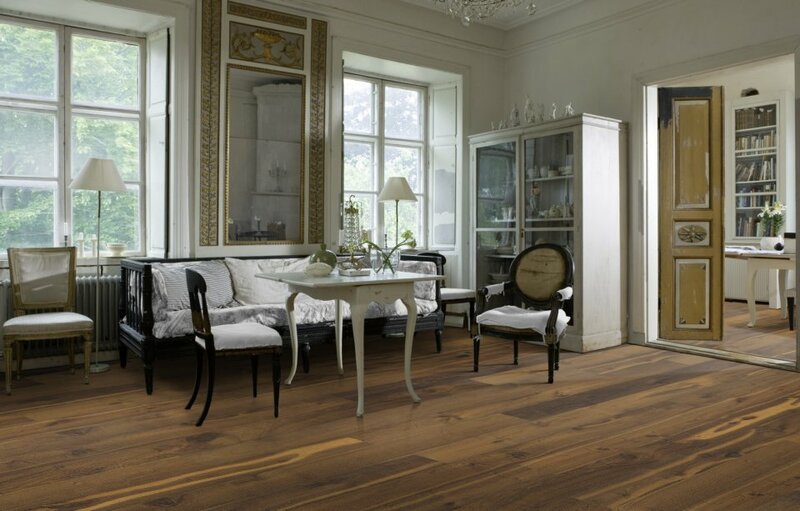 As I said before, these floors are the best in everything:; design, the way they're being built and overall appearance. 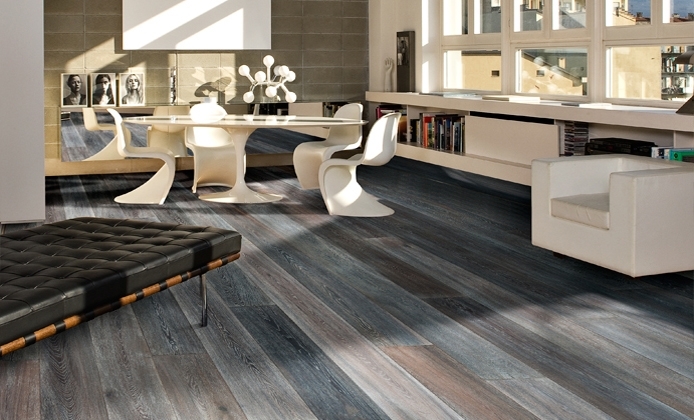 More so, the Grande floors are as thick as hardwood flooring, which is almost unheard of in the flooring industry. But all this comes at a high price tag. 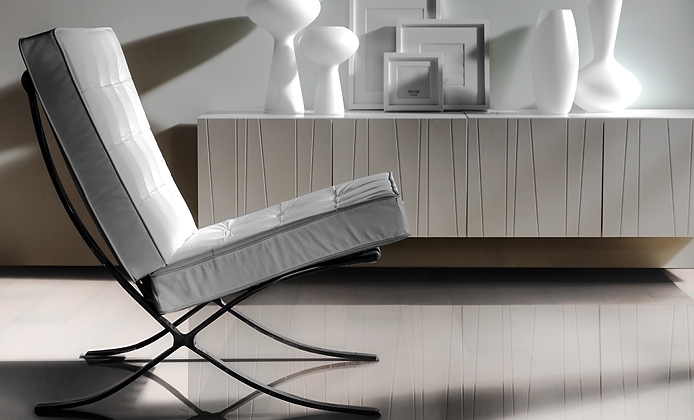 Kahrs Supreme floors are the most expensive floors out of all the Kahrs floors. What Kind of Warranty Will You Get on Your New Kahrs Supreme Floor? 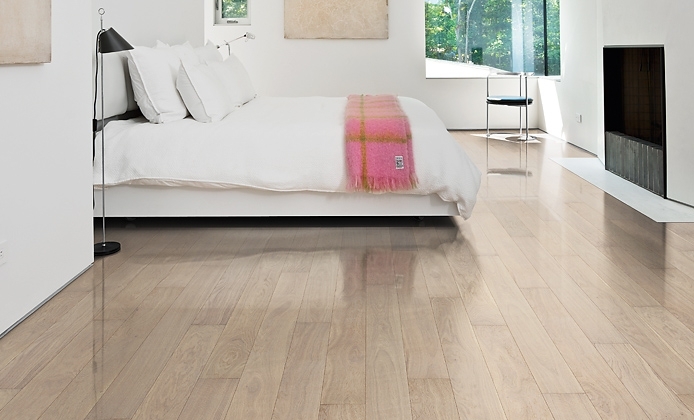 All floors in the Kahrs Supreme Collection are covered by a 25 year warranty. My floors were damaged by water when I was on vacation. I replaced them with Kahrs Oak Stone flooring provided by Chicago Flooring Innovations. Daniel was knowledgeable, responsive, and his team did a high quality job. In a stressful situation, I was impressed that he always responded to emails or text messages almost instantly. I had a lot of questions about the process. Also, he was great about proactively communicating status and even texted pictures during the day. The work itself was done professionally. Furniture was moved around carefully and drop cloths were used to protect both furniture and counters. The space was always cleaned at the end of every work day. The floors themselves look amazing. There are no quality issues. 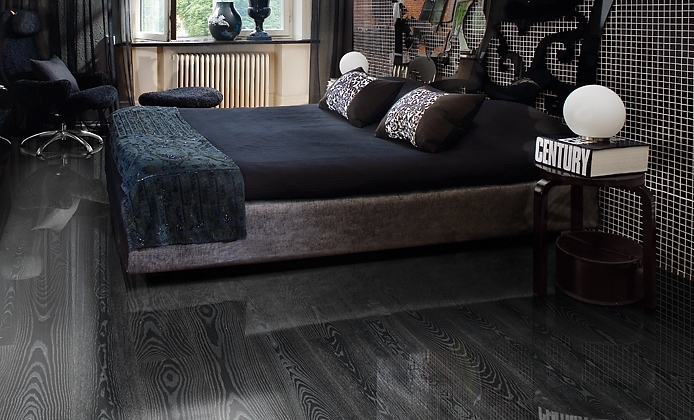 What Kind of Look Should You Expect from Your Supreme Floating Floors? 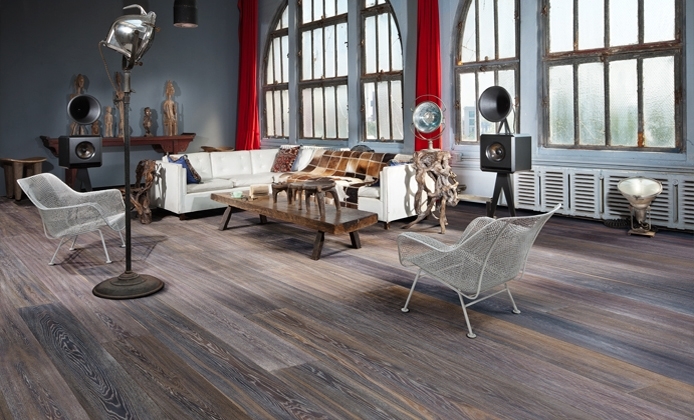 Regardless of which floor you pick out of the Supreme collection, you are guaranteed to get one thing: splendid looking, impressive wood floors. 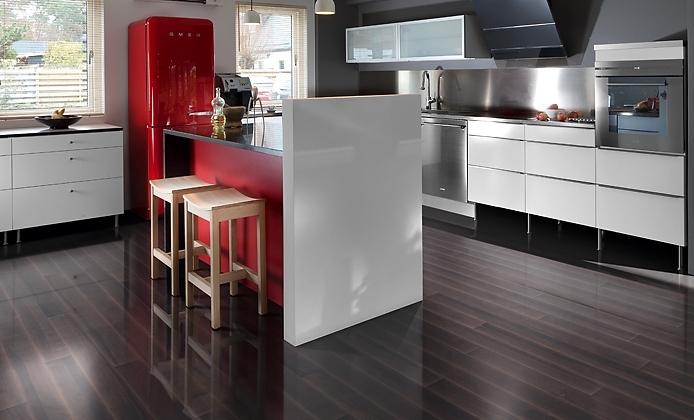 The Shine collection will offer you eight different floors, finished with a high gloss, metallic looking finish. My favorite in this collection is, by far, the Black Silver. 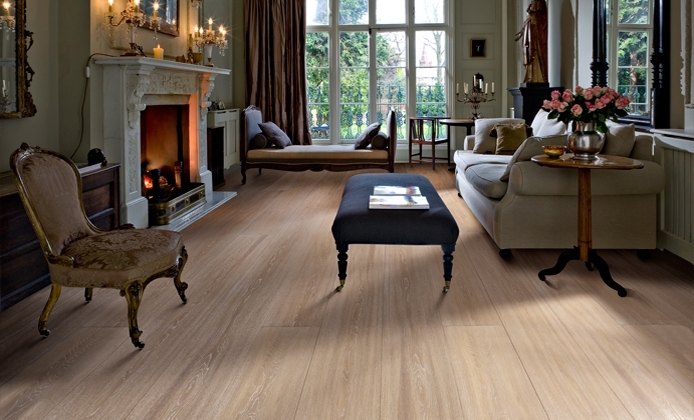 The Grande collection, will offer you four different oak floors, oil finished, brushed, smoked and handscraped. One thing unique to this collection is the thickness of its boards, 3/4" just like any hardwood floor. While they are all unique in their own way, my personal favorite in here is Maison Oak. 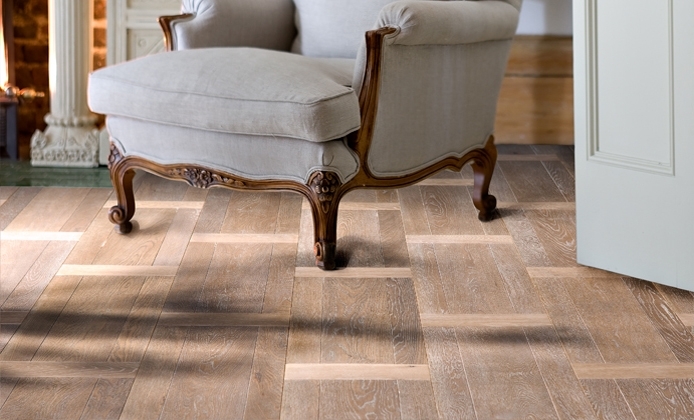 Kahrs Elegance - parquet patterns in the engineered flooring world. 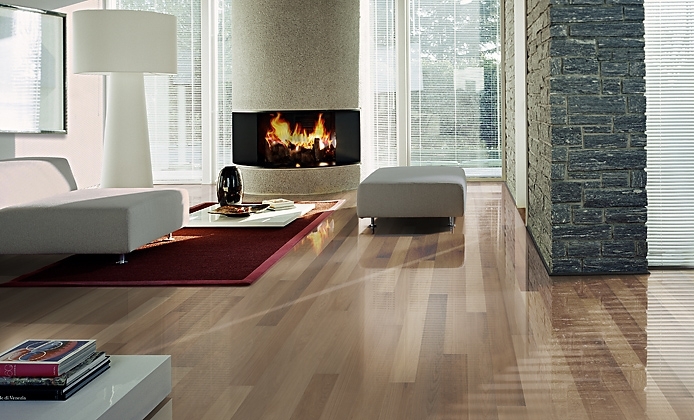 Do you have a big living room and feel that a regular wood floor will look boring after a while? The Elegance collection will ensure you never have this problem. 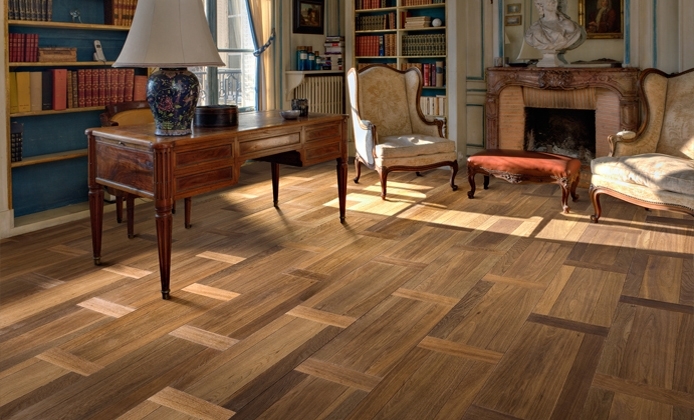 This collection will offer you two different planks, made out of a beautiful parquet pattern that will repeat itself three times on every board. Want to see some Kahrs Supreme pictures? Take a look here, and decide for yourself, which one is your favorite. Go from Kahrs Supreme Collection back to the homepage. Sample or Price? Contact Us Now!